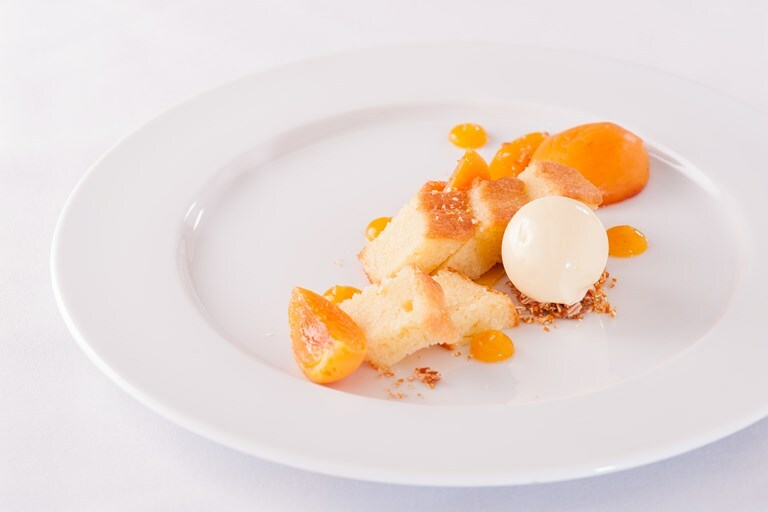 This beautifully presented summer dessert recipe from Russell Brown is filled with perfectly contrasting flavours and colours, with plump sous vide poached apricots, glossy ice cream and a light, fragrant almond sponge. While the individual components of this recipe are fairly simple in and of themselves, it’s worth putting a little extra thought into the timing of this dish. Preparing some items, such as the ice cream and almond praline a day in advance will help to reduce the time spent in the kitchen – perfect if you’re entertaining.